Over 100 people have secured employment as a result of the grants made by the SEGRO Community Fund in the 2017/18 funding round. 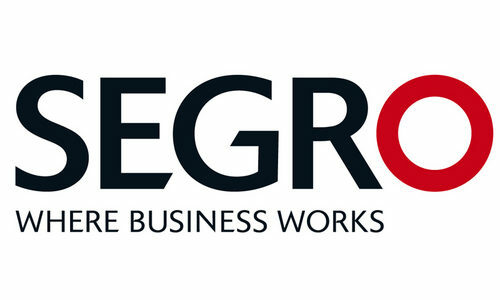 24 employment-focussed charities across the areas in London and the Thames Valley where SEGRO operates, each received up to £5,000 to deliver vocational training and qualifications to help prepare individuals for employment. The training courses that were delivered to over 1000 individuals ranged from interview preparation to building confidence and mentoring. This training has helped transition some individuals from claiming benefits into paid secure work and enabled 93 people to gain relevant and recognised work experience. In total, SEGRO donated over £117,000 to 24 charities, 11 were in Berkshire and 13 were from the following London boroughs; Barking and Dagenham, Brent, Ealing, Enfield, Havering, Hounslow and Newham. SmartWorks, the Nationwide charity with presence in Bracknell that provides high quality clothing and interview training to unemployed women supported 12 individuals with their £5,000 grant. The Barking and Dagenham (B&D) Unemployed People’s Association used its grant to deliver 15 training workshops on business enterprise skills every Saturday for 30 weeks. Neil Impiazzi, Partnership Development Director, SEGRO said: “The SEGRO Community Fund is a great way for us to support grass root community projects and local charities that have a positive impact in the communities where we operate. The 2018/9 round was announced in June 2018 and awarded to the successful bidders in October 2018. The next round of funding will be launched in June 2019. The London Community Foundation and the Berkshire Community Foundation have partnered with SEGRO to administer the process.